Rio de Janeiro (AFP) - Brazilian midfielder Ricardo Goulart has signed a four-year deal with Chinese outfit Guangzhou Evergrande for a fee in the region of $12.7 million, a record for the Chinese league, his club Cruzeiro said Tuesday. The 23-year-old was top scorer in the Brazilian league last season and earned a place on the national squad under new coach Dunga, who took over for a second time after the World Cup last July. Goulart said he expected to remain in the frame for Brazil despite his move to Asia. "The world is now so connected that everyone knows what is going in in China, England. I shall do all I can to draw attention to myself - -I'm still very much hoping to play for the national team and God willing it will all work out fine," said Goulart. 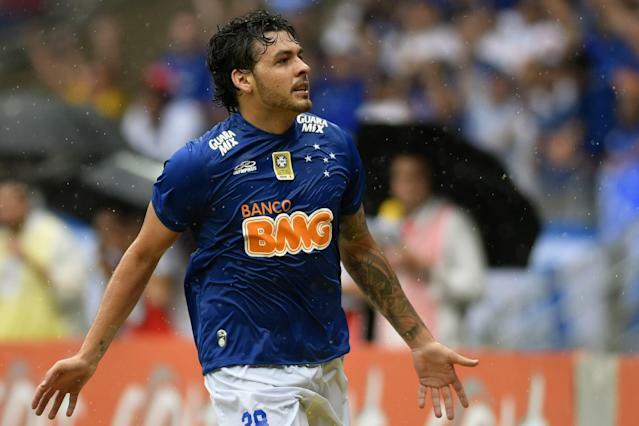 Goulart, who said he hoped fans would understand his desire for a new challenge despite some criticism of him on social media, has scored 38 goals in 106 games over the past two seasons having previously cut his teeth with Goias. "Southern China Tigers" Evergrande have won four straight league titles and also won an Asian Champions League crown in 2013 when they had Argentine striker Darío Conca in their ranks. The Chinese outfit already have two other Brazilians, Rene Junior and Elkenson, in their ranks.